A key development took place today towards the mission of Digital India, that is going to reshape and realign the cash transaction dominated & non-automated fuel retailing industry. To achieve The Hon’ble Prime Minister Shri Narendra Modi’s vision for Digital India, to bring transparency & accountability, MEE Wallet App, India’s first 100% digital payment enabled app that allows completely cashless fuelling, was launched by Mr. Ratan P. Watal, Member Secretary, Economic Advisory Council to Hon’ble Prime Minister, & Principal Advisor – Niti Aayog, at MEE fuel station, Khalapur, near Mumbai on Tuesday the 21st of August 2018. Mr. K. Rajeshwara Rao Advisor, Economic Advisory Council, graced the occasion. Fuelling industry has been traditionally a cash transaction-based industry. In the past decade, companies have tried to shift to non-cash / digitised route with introduction of fuel cards and EDC machines but none of them were able to build an entire end to end digitised process. 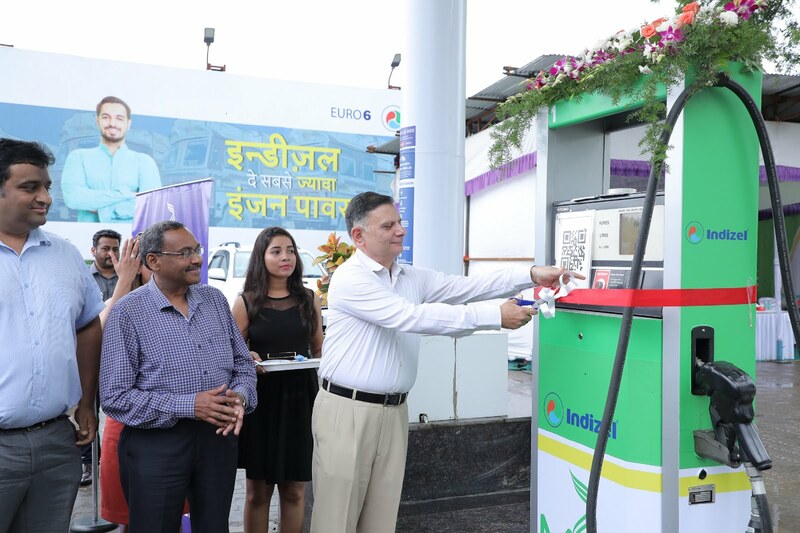 First in the country, MEE fuel stations are unique as they offer complete user control, providing a fully automated fueling experience where every drop filled is accounted for because of end to end automation implemented by MEE. There is both quantity as well as quality assurance, personalized & priority services and user control through the MEE Wallet App, enabling the consumers to load, fuel & track the billing and usage on the phone, eradicating the filler – driver syndicate or other ways of pilferages and fuel adulterations. MEE Wallet app facilitates completely cashless fuelling, self-service and end to end user control at the fully digitized MEE fuel station. MEE fuel stations will retail the company’s flagship renewable fuel for diesel engines, Indizel. Indizel is an ultra-premium renewable fuel that complies with EN 590 & BIS 1461 quality standards and BS VI and EURO 6 emission norms. Being EN 590 compliant Indizel can be used in all diesel engines without any engine modification or blending limits, ensuring engine warrantees. It is the most efficient and cleanest fuel for diesel engine available in India outperforming all traditional & premium diesel fuels, in power, performance, mileage, engine life, economy and emissions. As per the latest amendment to the National Policy on Biofuels in May 2018, Indizel falls under the category of drop-in fuel for diesel engines. Priced at normal diesel rates, Indizel comes with a GST benefit of 12% for GST registered customers which can help them save up to Rs 9 per litre. As a special introductory offer Indizel will be sold at Rs. 3/- discounted price as compared to the normal diesel price of each area. Mr. Santosh Verma – Co-founder, My Eco Energy, said, “MEE is a technology and research driven company. We strongly believe that there is a solution to all challenges of customers, for which you need to strive hard to find answers. With MEE Wallet App we are trying to bring a radical change in cash culture, common in fuel industry. Cashless transactions and complete user control eradicate a lot of malpractices and gives users an assurance of quality and quantity.”, added Mr. Verma.